Arab countries face two major challenges resulting from increasing competition from the rest of the world and persistent reliance on mineral resources for their growth. At the same time, sustainable development is increasingly becoming a major concern for world development. In this respect, and from a sustainability point of view, knowledge economy opens up new and more accessible opportunities through the ‘substitution' of physical resources by immaterial resources. This situation raises two fundamental questions: the first one relates to the opportunity of ensuring sustainable development while the knowledge base remains rather weak and policies often short-sighted. The second one is how an integrated approach based on knowledge can strengthen existing knowledge bases and create new ones to further sustainable development. 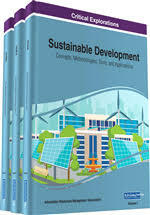 Looking at a sample of advanced countries and Arab countries, this chapter argues that sustainability of growth rests fundamentally on the capability of properly harnessing knowledge. Sustainable development is becoming increasingly a major concern for world development since the Rio Summit in 1992 and one of the major challenges on the international agenda in the face of bad indicators of most resource-use and worsening environmental impact. The 1987 Brundtland Report, of the World Commission on Environment and Development, (WCED 1987) defined sustainable development as “the development that meets the needs of the present without compromising the ability of future generations to meet their own needs.” The new regulatory principle, “pollution prevention pays,” aims at promoting competitive and environmentally sustainable industrial production. While many of the work and resolutions are centred on costs and pricing both in terms of understanding and as a policy instruments, it is only in the last few years that science and technological capabilities issues are recognised as deserving to be given top priorities. It is gradually recognized that sustainability relies more and more on innovation capabilities and on harnessing the necessary knowledge.